When new smartphones debut, their predecessors either get discounted or get axed altogether. Google has chosen the former route for the first-generation Pixel and Pixel XL, which are now being offered for $100 off their MSRPs thanks to the introduction of the Pixel 2 and Pixel 2 XL. First-gen Pixel phones have received a $100 price cut across the board. That means that a 32GB Pixel now goes for $549, a 128GB Pixel for $649, a 32GB Pixel XL for $669, and a 128GB Pixel XL for $769. Interestingly, the 32GB Pixel is already out of stock (it was available in Very Silver earlier), with the 128GB Pixel only available in Very Silver. All of the Pixel XL colors are intact, including the Really Blue for the 32GB model. A $100 discount really isn't enticing, though, considering the prices you can find for even brand new units elsewhere online. 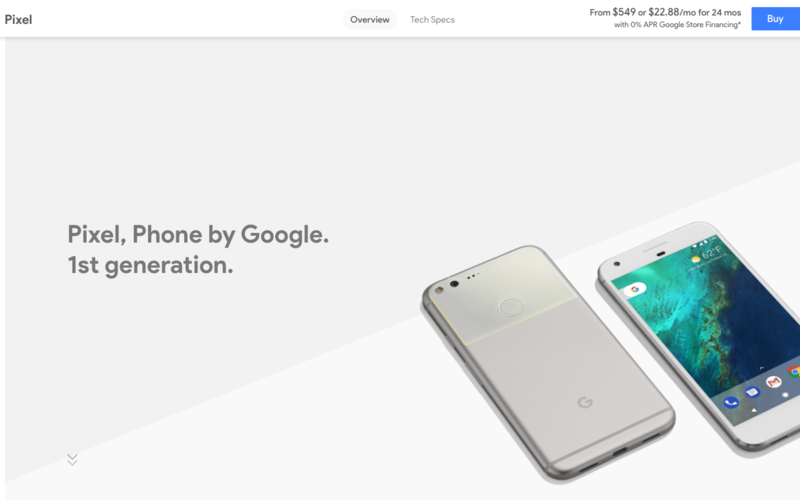 For instance, Swappa has tons of people selling their brand-new replacement 32GB Pixel XLs for as low as $475 - nearly $200 off what Google is offering it for. And if you're okay with a used phone, you can get much better discounts too. Let us know if any of you are thinking about getting a first-gen Pixel now that the Pixel 2 has dropped.